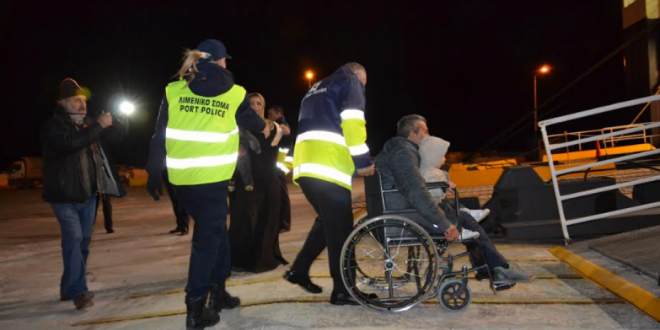 More than 250 refugees and migrants of various nationalities that belong to vulnerable groups like families with children, women who are alone, elderly and people with disabilities boarded a ferry from Lesvos to Piraeus on Wednesday night. The move was organized by the ministry of migration policy to evacuate as many vulnerable refugees and migrants as possible from the island ahead of winter. 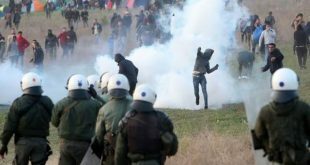 Speaking to the Athens-Macedonian News Agency (ANA), Minister Yiannis Mouzalas said the effort will “intensify” in the coming days. 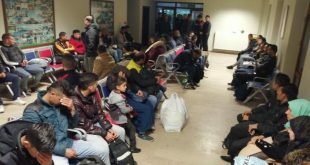 When they reach Piraeus in the morning, refugees will be transferred by buses rented by UNHCR to accommodation centers supported by the agency in the mainland. 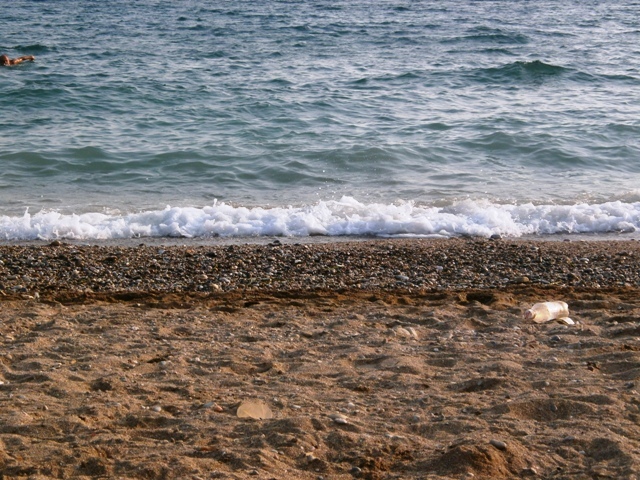 According to information, the government plans to transfer about 3,000 people from Lesvos to the mainland by December 10, while similar actions will also be taken for other islands. About 8,500 refugees and migrants are currently stuck on Lesvos. 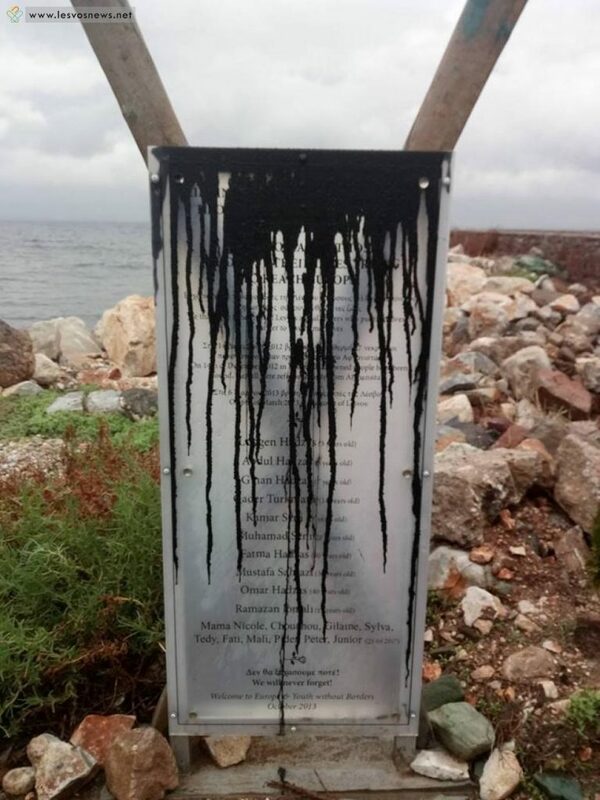 Amid the pressure and the tension both for the local community and the refugees and migrants, unidentified perpetrators vandalized a monument dedicated to those refugees who lost their lives while they were trying to reach Lesvos during the years 2012-2013. The thugs threw black paint over the names of the people who found a tragic death in the waters of the eastern Aegean Sea. The monument is in Thermi. This is good news for those who are to be moved. 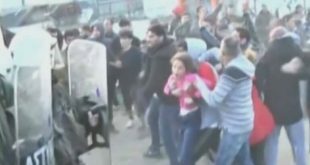 Conditions in the camps there are deadly. It is sad that more will not be helped. Others will arrive in Lesvos to replace those who are transferred out. But the world is grateful for what the Greek government is doing for these unfortunates. Humanity needs to step up and do more for this situation. It is the beginning of the largest diaspora in human history; a tragedy of epic proportions. It will last for decades and affect more than a billion people. It is indeed a tragedy, how the Syrians and other victims of political violence are being treated — on the Greek islands and outside of the EU, where they have been forced to remain. The tragedy is also for humanity, which has been hijacked by dark forces of the extreme right — mostly through propaganda and trolling on the internet. It is through this naked evil that Greece and Italy are left to cope with the inflow instead of the rest of the EU sharing the difficulties.